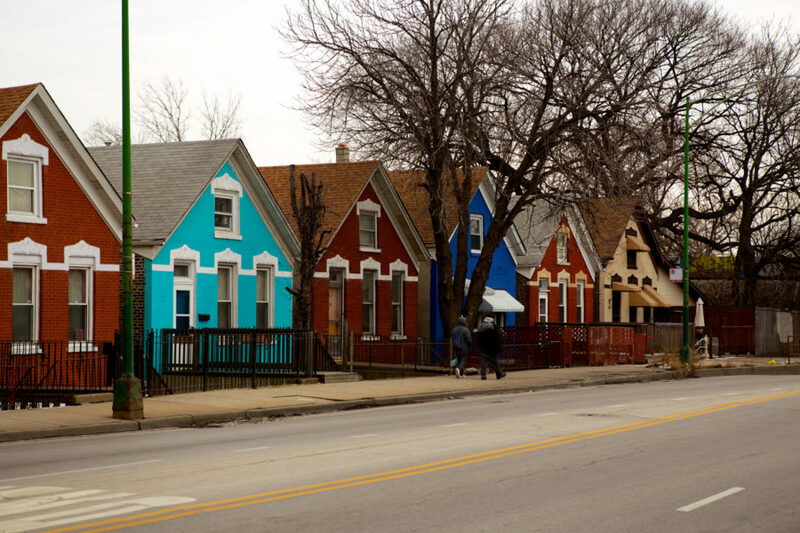 At the intersection of Damen and 33rd in McKinley Park is a collection of modest yet exuberant 1880s homes. After almost 130 years, the homes mostly retain their original charm. Many early settlers were immigrants drawn to the area to work in the stockyards, which experienced explosive growth in the late 19th century. In 1901, a nearby park was under construction when President McKinley was assassinated. As a tribute the park (and the surrounding neighborhood) was named after him. 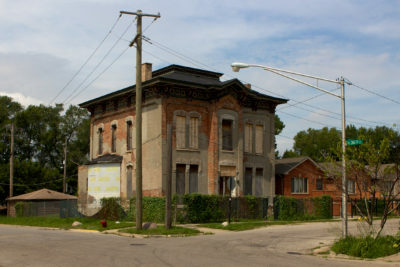 Initially, these houses, built in the 1880s, were on Robey Street. 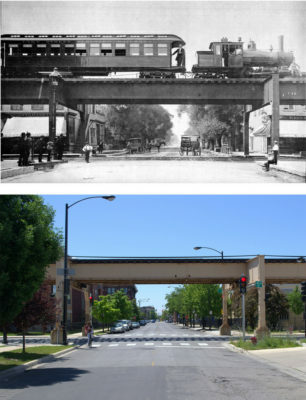 Then, in 1924, Robey Street was renamed Damen Avenue after Father Arnold Damen, founder of Saint Ignatius College. 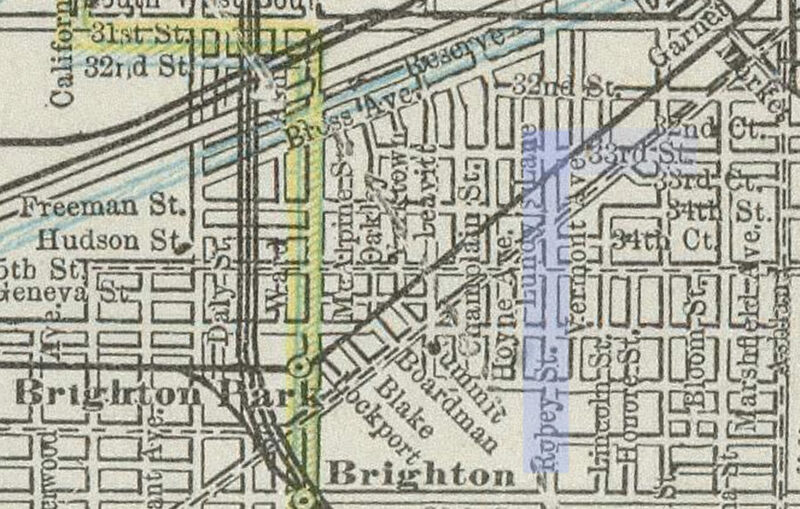 The college would later split, becoming St. Ignatius College Prep at the founding location, and Loyola University in Rogers Park. Homes on a prime spot are usually more intricately detailed. 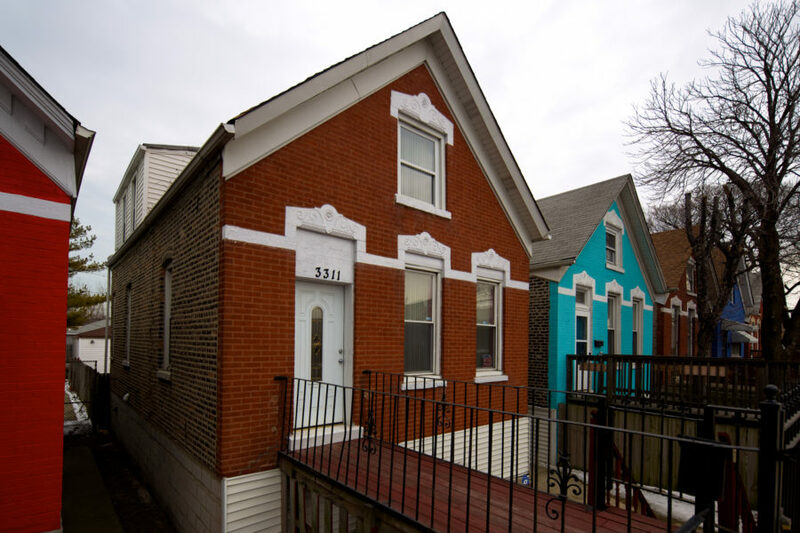 But in the case of the corner house at 3301, it is the only one of this row of houses, including its neighbor at 3305, without the incised floral patterns above the door and windows. 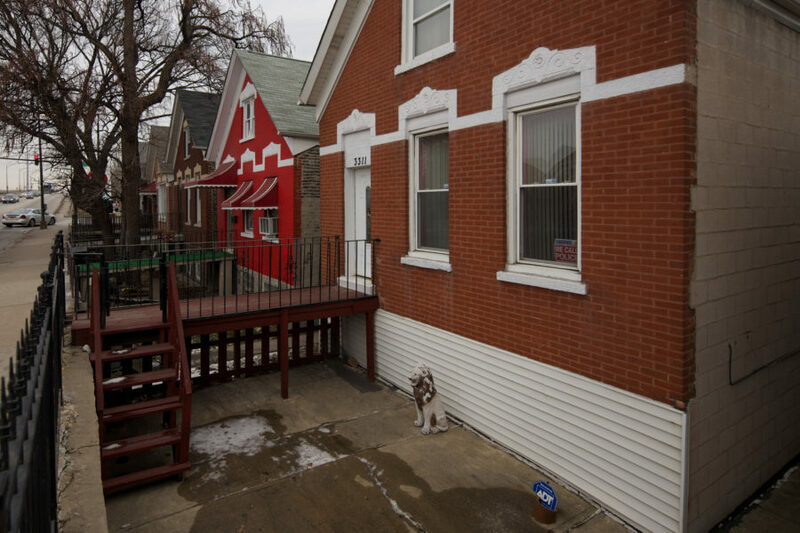 There is no 3303 S. Damen, according to Cook County. The facade of 3307 with dark red brick is in great condition with belt course and hoods intact. 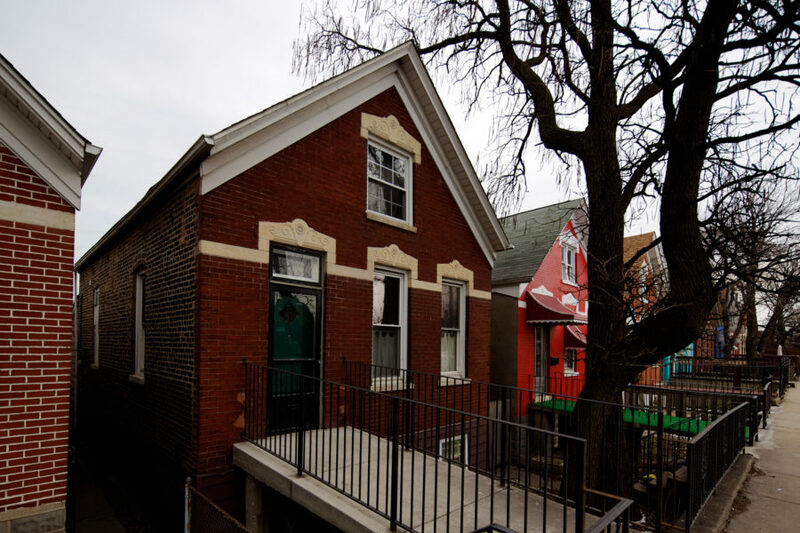 It appears that 3309 was rehabbed in the 1950s, judging by the metal awnings with ridges and shortened windows. The hoods and belt course and still in place. Instead of a transom window (skylight) above the door like its neighbors, this house has a covering with the address. 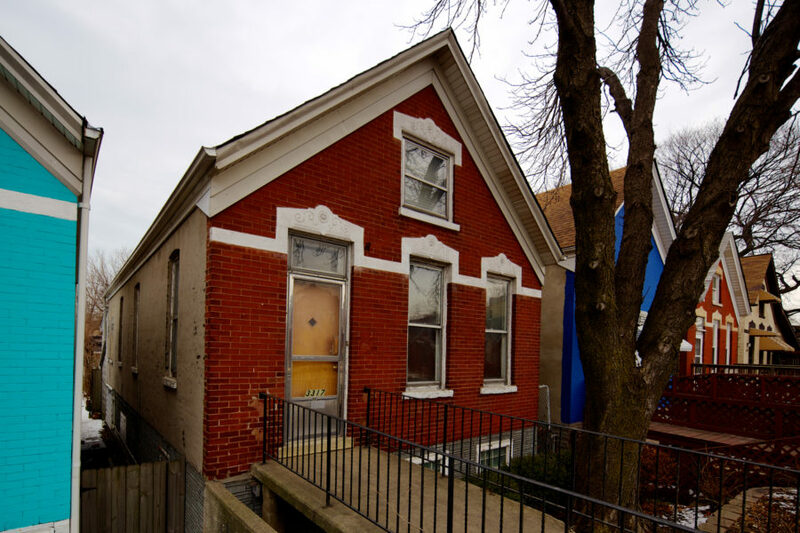 Despite looking just like all the others, this is the only house on the block included in the Historic Resources Survey. 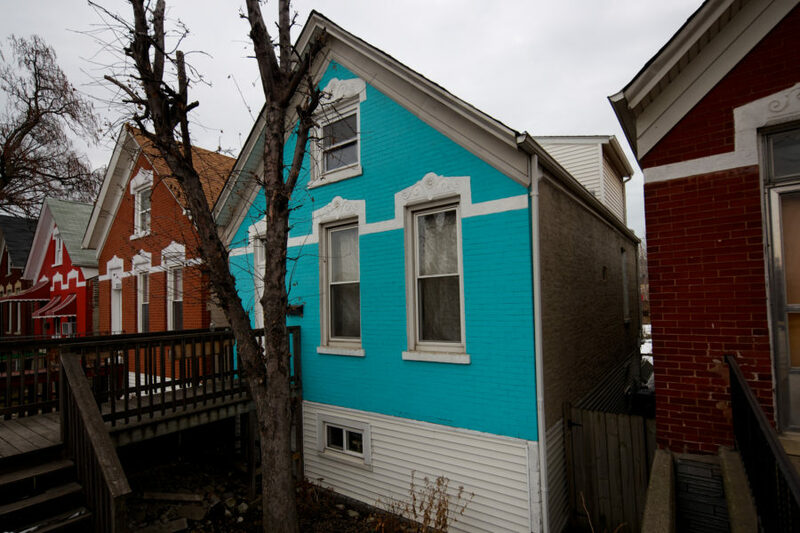 Chicago has perhaps the most late Victorian-era houses than any other American city. But very few of them feature bright pastel colors such as those in San Francisco and other cities across the country. 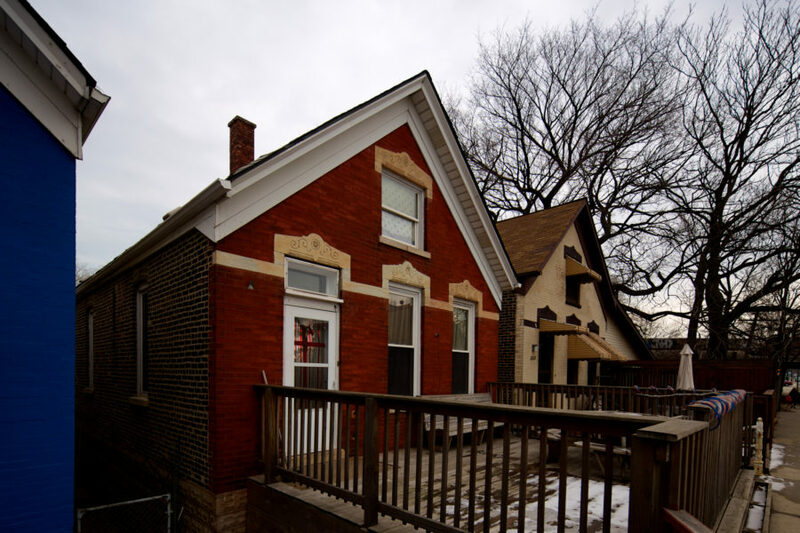 This home is a near replica in condition and appearance as the one at 3311 S. Damen. Of all the homes on this row, 3319 appears to have been altered the most. 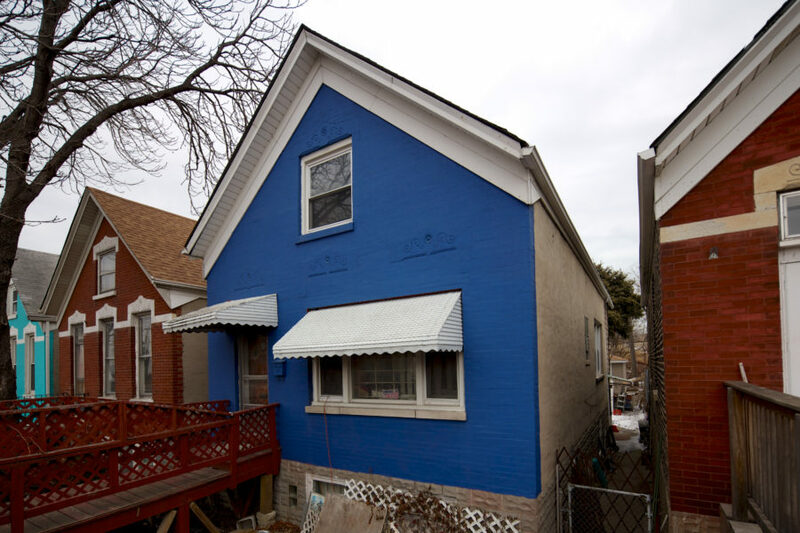 In addition to a (likely) 1950s change to the front windows, the window hoods were painted blue. 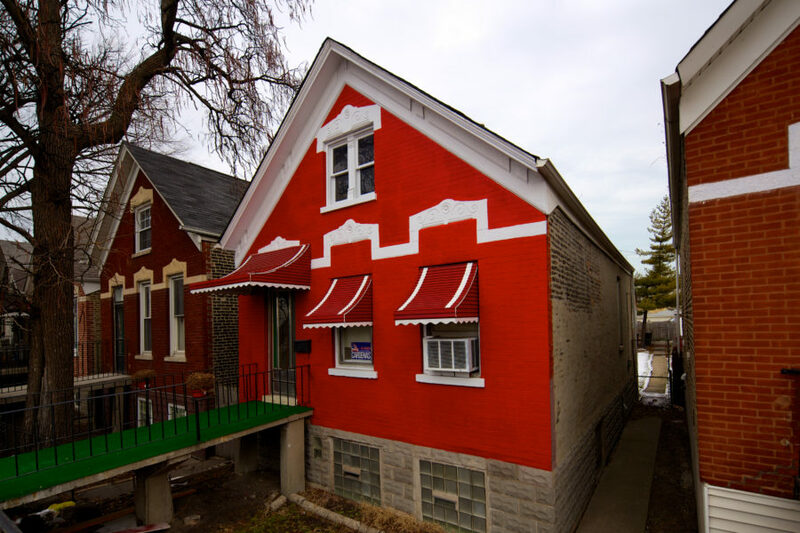 The top window hood was unpainted (red) in a 2007 Cook County assessor photo. 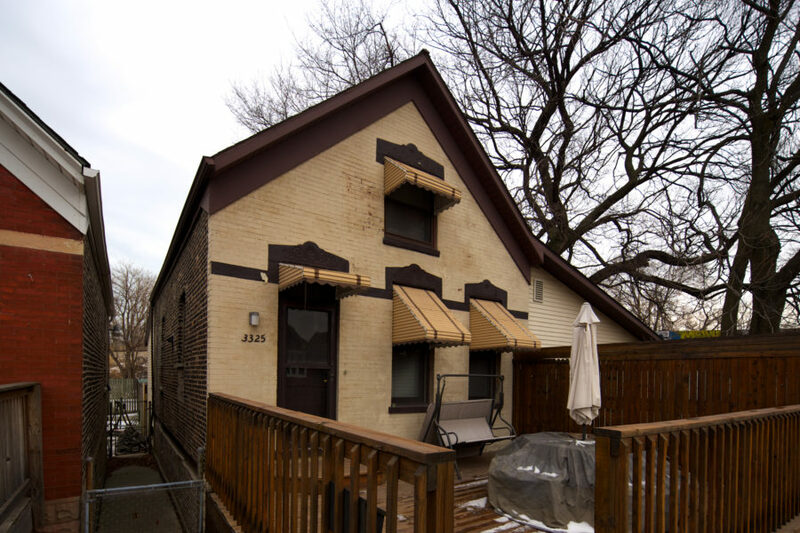 Unlike its neighbors with vaulted sidewalks, 3323 and 3325 have full-width modern wooden decks. Though painted, the belt course and window hoods remain intact at 3325. 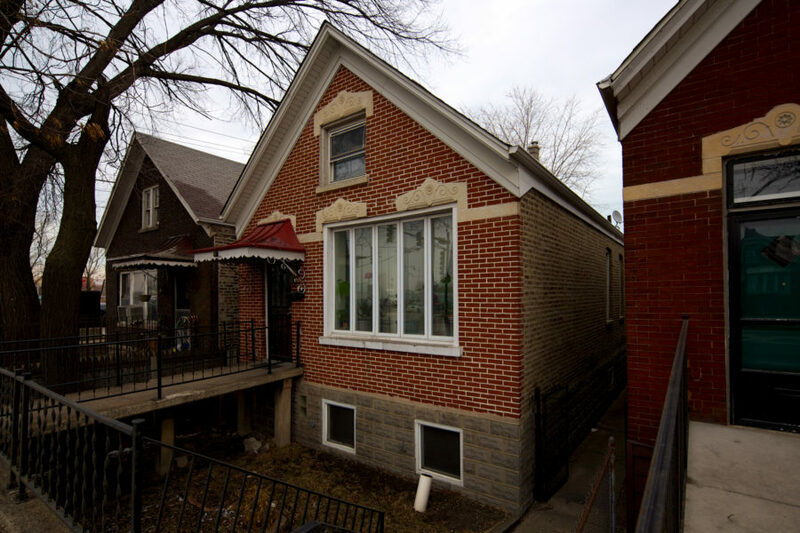 With a bit more horizontal space than the rest on the block, this little house expanded south. 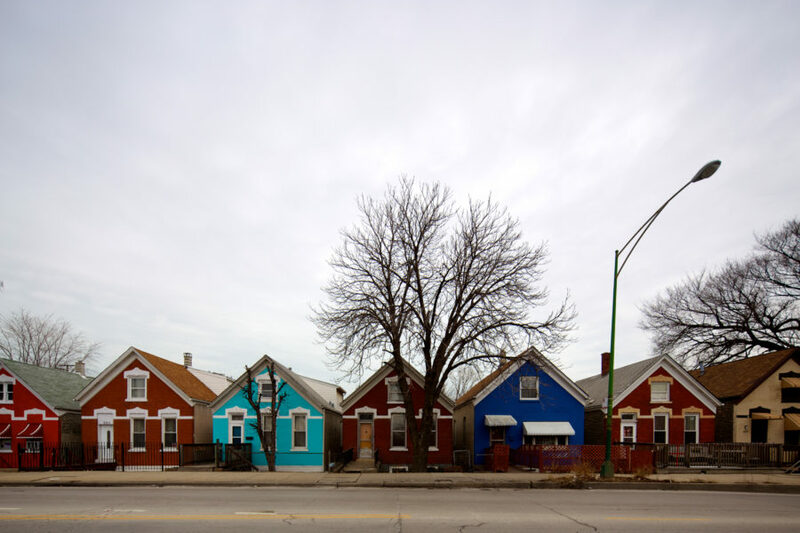 The west side of Damen near 33rd (above) is a patchwork of bungalows, empty lots, and new construction homes. Vaulted sidewalks are the result of raising the city in the middle part of the 19th century to improve water drainage. 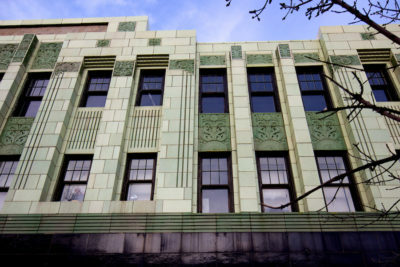 While many buildings were lifted or moved to higher ground, many others simply raised their entrance to the second floor via vaulted sidewalks. 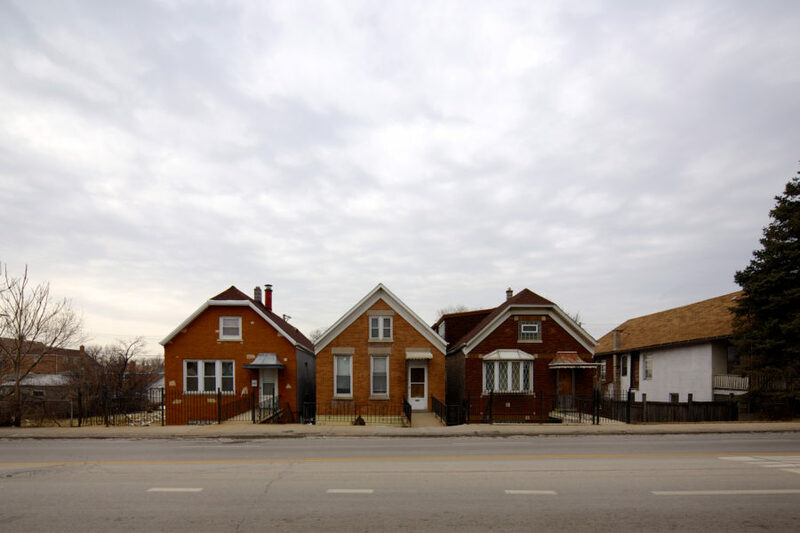 In spite of having a build date after the Raising of Chicago, the vaulted sidewalks, facade proportions and buried front windows all indicate the houses were originally taller. 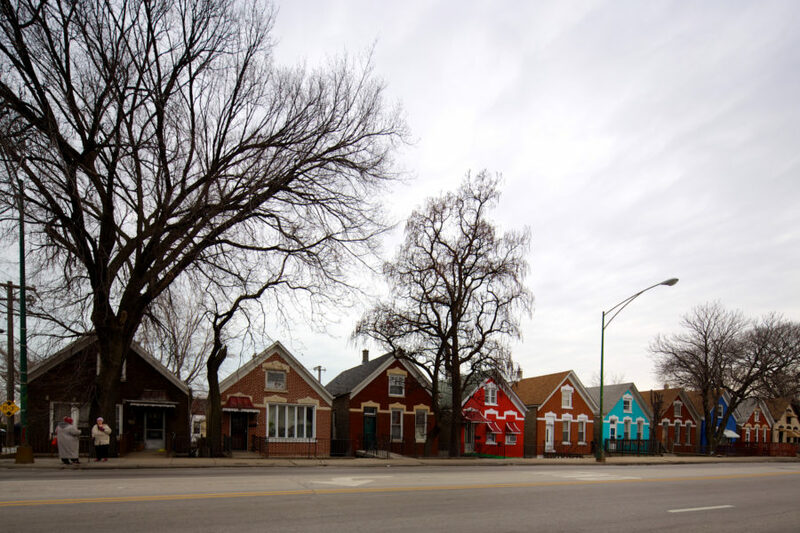 Make the trip to Damen and 33rd to see historic infrastructure artifacts of the 19th century and a row of front-gabled homes with original 1880s Italianate charm.